Charles River Apparel’s best-seller for over 20 years! - 100% cotton flannel lined. - Open hem with shockcord drawstring. 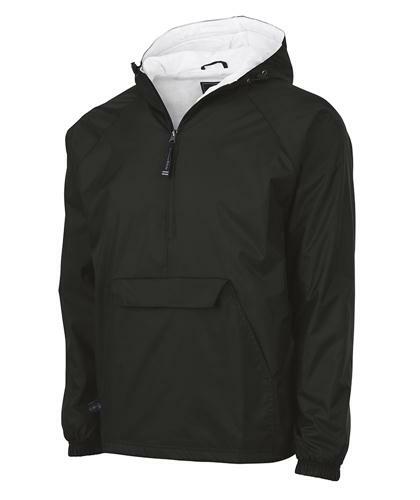 - Extended zipper above neck for wind protection. - Packs into its front pouch pocket.